Natalie and Tom (both pictured here with the Headmaster, Mr Jones) have been terrific in their roles as Head Girl and Head Boy. 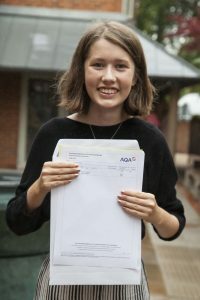 Natalie achieved A*, A* and A grades in Biology, Maths and Chemistry and has won a place to read Medicine at UCL: “I think I may become a paediatrician,” she says. She joined Caterham Prep School when she was just six years old. “I’ve had such amazing friends for so long – now I’ll have to meet loads of new people at uni!” Natalie is also an accomplished musician, having achieved Grade 8 in both oboe and piano during her time as a Sixth Former. 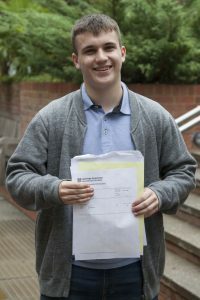 Tom’s grades (three A*s and one A) have earned him a place at Oxford University (Pembroke College) where he will read Maths. “Caterham has been amazing – I’ve made so many friends and have so many memories. 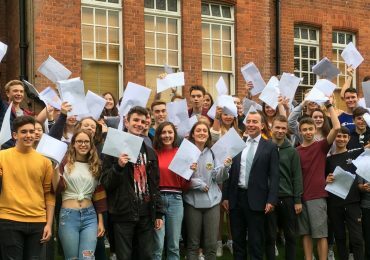 The academics have been great but I’ve also done so much else.” Tom counts the recent school rugby tour to Australia as one of the highlights of his time at Caterham. Many congratulations to Cameron whose A Level grades have won him a place at Exeter University to read Business Management. Cameron, who joined Caterham when he was 11 years old, fell ill with grey zone lymphoma and had to go through treatment alongside his studies. He was given the all-clear in January. “I didn’t know how deep I could dig until I had that experience.” Bravo, Cameron. 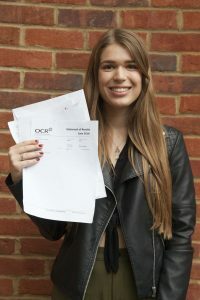 Sophie has won a place to read Human, Social, and Political Sciences (HSPS) at Cambridge University (Homerton College). “It’s the perfect course for me,” says Sophie, “as it’s a combination of my A Level subjects, which I have loved. I am so grateful to my teachers – I have never met such inspirational people! 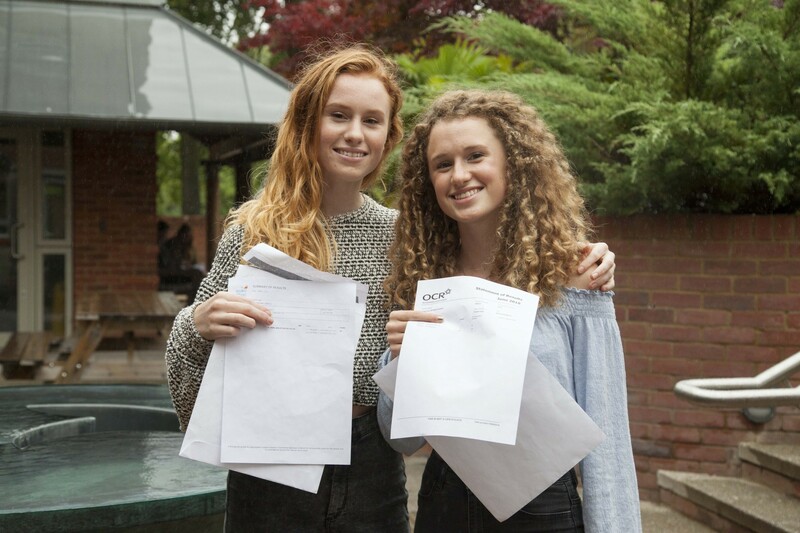 In particular, Miss Smith, Mrs Webster and Dr Avery have been wonderfully supportive.” Sophie achieved terrific grades: A*, A* and A in Biology, Psychology and Religious Studies. It’s been a bumper year for twins at Caterham this year! Pictured here, from left to right, are Olivia and Sophie, Jess and Joshua, Millie and Lottie. 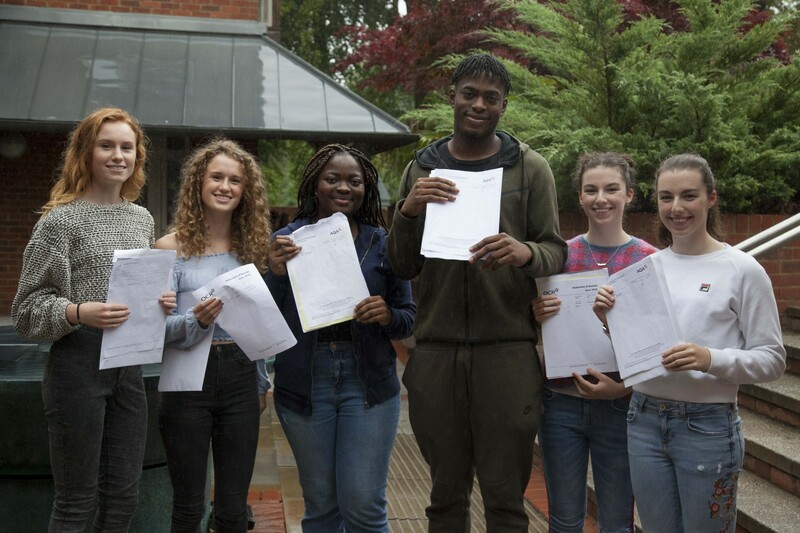 Not pictured are Jo and Matt who we were unable to photograph on Results Day. You can read more about each set of twins below. 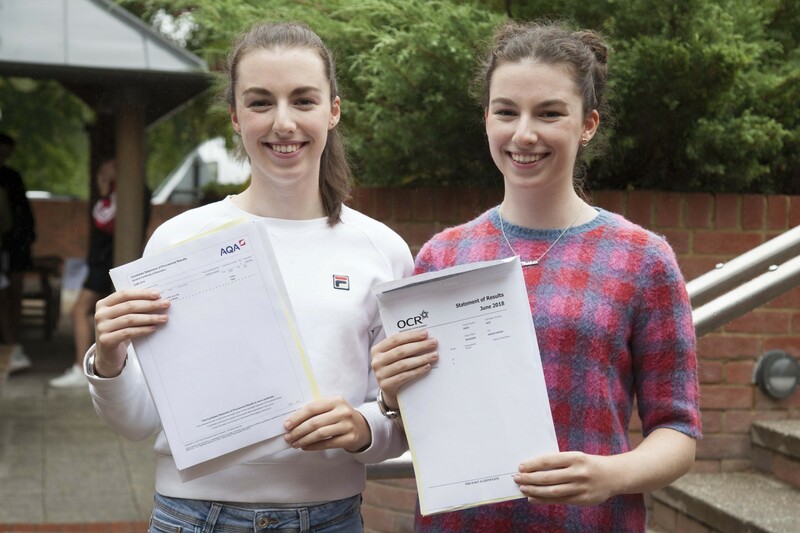 Olivia and Sophie both celebrated their 19th birthdays on A Level Results Day – and there was a great deal to celebrate! Olivia has secured a place on the prestigious Fine Art degree course at Newcastle University. 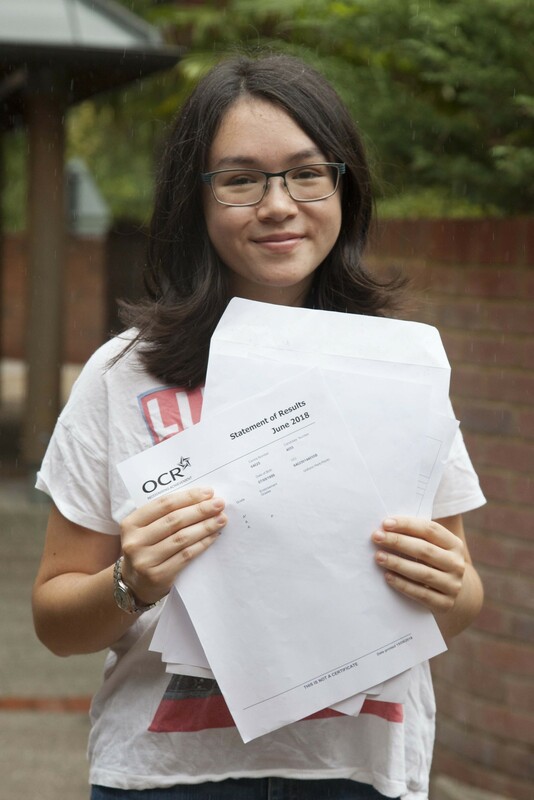 “All my friends and teachers at Caterham have been amazing,” she says. “It’s been a blast! My teachers have been so understanding and encouraging – whilst at the same time having high expectations of me. Thank you so much!” Sophie, meantime, will read Natural Sciences at Cambridge University (Churchill College): “I am so grateful to my inspirational maths teacher, Mr Dimakos, as well my other teachers in the Maths and Science departments.” Both girls are also very keen athletes, competing for the School and Crawley Athletics Club as cross-country runners. Twins Jess and Joshua have both been boarders at the School. Jess has won a place to read Medicine at Oxford University (Corpus Christi College). 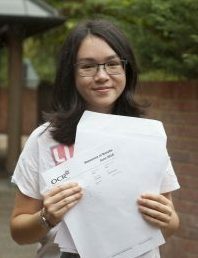 She achieved terrific grades in Biology, Chemistry, Maths – and also English Literature. 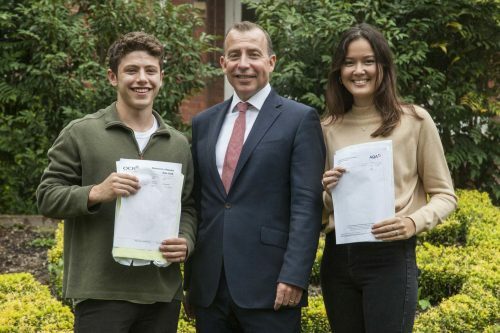 “My English teachers (Mr Crombie and Ms Wildsmith) have been incredible – I love them!” Her brother, Joshua, is heading off to Nottingham University to read Philosophy having studied Economics, History and Maths at A Level. Joshua was also a member of the School’s 1st XV Rugby Squad. 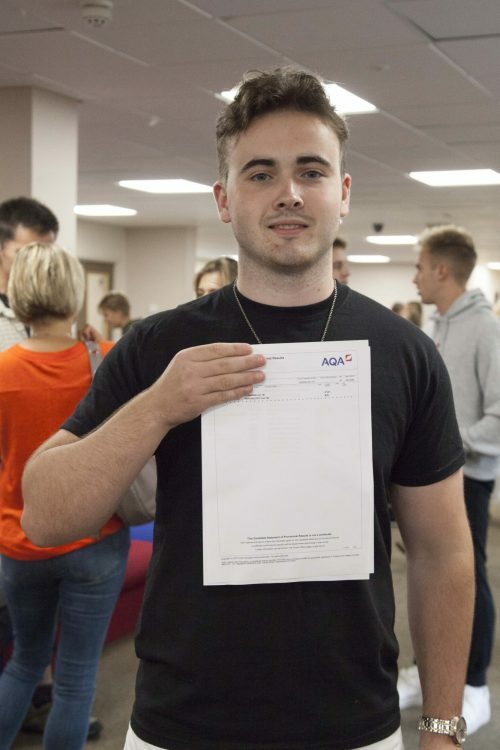 Many congratulations to Isaac who achieved a clean sweep of four A* grades and will now progress to Warwick University where he will read Maths. “I think I started to realise that I was good at Maths when I entered the Senior School. I am so grateful to my teacher Mr Dimakos for all the help he has given me.” Playing hockey for the School has also been an important part of Isaac’s time at the school – and he has particularly fond memories of a school trip to Honduras which was focused on the ecology of the region. 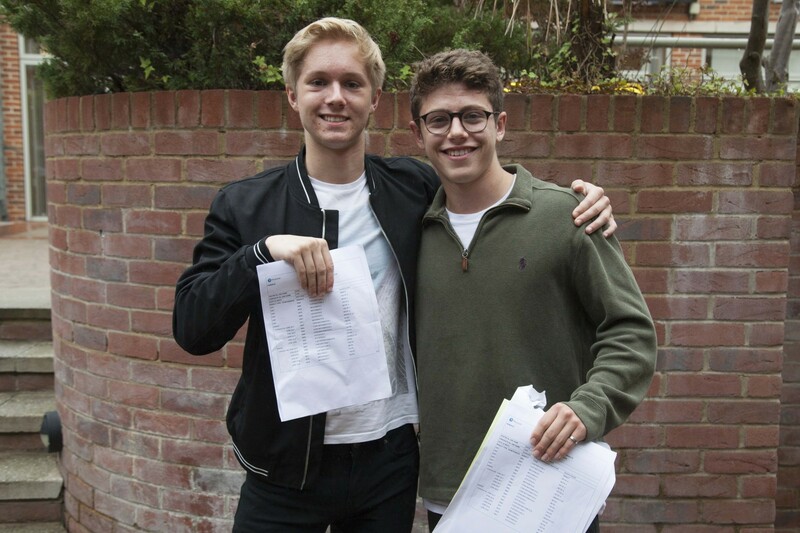 Isaac is pictured here (on the left) with Head Boy Tom. 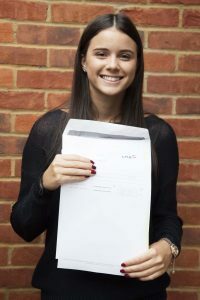 Jasmin joined Caterham in the Sixth Form from a grammar school in Kent. “I wanted a friendly and academic environment where I could study A Levels rather than the IB. I am so grateful to my teachers, especially Mr Quinton (Head of Science) who has been so helpful and supportive: he has run lots of extra sessions to help us and he even took us on a special outing to Oxford University which was really inspiring.” Jasmin will read Biological Sciences at Oxford University (Lady Margaret Hall). Sophie has been a creative powerhouse during her time at Caterham and has now finished with an impressive set of grades – A*, A and A – in Photography, Art and Business. She will now combine her creativity with her business sense by completing a degree in Banking and Finance at Leeds University. Bravo, Sophie!